Find your new or used car at a participating dealer near you. You can apply online, give us a call, or stop by a branch. There’s no application fee. With your approved budget, you’re ready to hit the dealership and get a great deal. Trailhead members with existing accounts can use Trailhead Rewards points to reduce their rate on an auto loan by 0.25%. 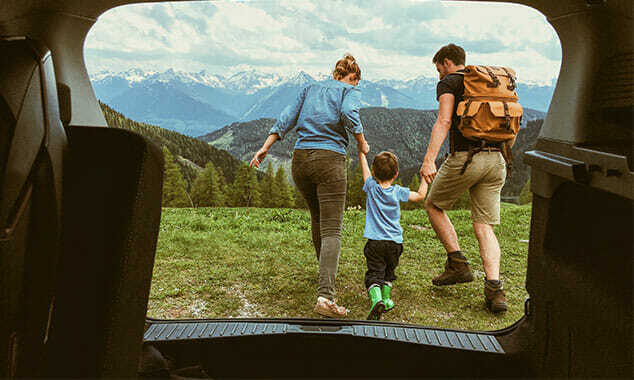 Get a 0.25% loan rate discount when you finance a SmartWay or SmartWay Elite designated vehicle with Trailhead. SmartWay® and SmartWay Elite vehicles are the highest rated clean and fuel-efficient vehicles as rated by the Environmental Protection Agency (EPA). Visit www.epa.gov/greenvehicles to search for qualifying vehicles. Save 0.25% off your auto loan rate when you have your payments automatically deducted from your Trailhead checking account. Get Mechanical Breakdown Protection (MBP) to help pay for covered repairs on your car when that unexpected breakdown occurs. For a few dollars a month, you can protect your vehicle and your finances from expenses that could total hundreds or even thousands of dollars. If your vehicle is stolen, accidentally damaged beyond repair, or otherwise declared as a total loss, you are still liable to pay the difference, the “gap” between your insurer’s settlement and your loan balance. GAP Advantage waives the difference between your primary insurance carrier’s settlement and the payoff of your loan, less delinquent payments, late charges, and refundable service warranty contracts and other insurance related charges. Apply right at participating CUDL dealerships in Oregon and Washington.